Emerald Award Nominations - Did You Know? Last year, we received 470 nominations across all categories! Community Service awards, Industry Partner of the Year, and Lifetime Achievement Award are free to nominate! Property company name, management company name, and nominator name are redacted from the nominations before sent to the judges. That way the judge doesn't know the company you work for and is non-biased when scoring. 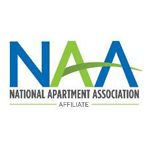 Judging is conducted by National Apartment Association (NAA) affiliate staff outside of Washington State and across the nation. We hire a third party shopping company to conduct our secret (and sometimes not so secret) shops. Any employee in the multifamily industry can be nominated, they aren't required to be a member. New this year - Regional Maintenance Director of the Year Award! You can view the nominator and nominee questions in advance of submitting your nomination. We suggest you answer those questions in a document that has spelling and grammar check, then copy and paste them into the nomination form. There is no spell check in the nomination form. Nominator declarations are calculated in the overall judging, so plan for your answers to count! All nominations must be approved by a regional or corporate supervisor. To see the scoring weights of how each category is judged, click here. Friday, September 7, 2018 by 5:00 pm is the deadline to get nominations in! Contact our Director of Events, Tricia Johnson, at 425.656.9077 or tricia@wmfha.org. Now go out there, put your best foot forward, and nominate your A-list team today!